The week got off to an exciting start at the Australian Open with victories and losses for some of the sport’s biggest names. Catch up on all the latest action ahead of the quarterfinals. On Monday the South Korean star Hyeon Chung defeated six-time champion Novak Djokovic to knock him out of the Australian Open in the fourth round. Chung, who is just 21-years-old, beat the visibly tired and in pain Djokovic 7-6 (7/4), 7-5, 7-6 (7/3) in a match that lasted for 3 hours and 21 minutes in the Rod Laver Arena. He is the first South Korean man to reach the round of 16 at the Australian Open and he will next face the American bolter Tennys Sandgren in the quarterfinals on Wednesdays. Djokovic beat Chung in straight sets in the opening round of the Australian Open two years ago but this time the South Korean exacted revenge in spectacular style fighting hard in all three sets to see off the Serb. During the match Djokovic had to undergo treatment for his right elbow that has been troubling him for some time and a hip injury after stretching for the ball. Nonetheless, he continued to battle while Chung stayed composed. Despite his victory, Chung by no means dominated the match. 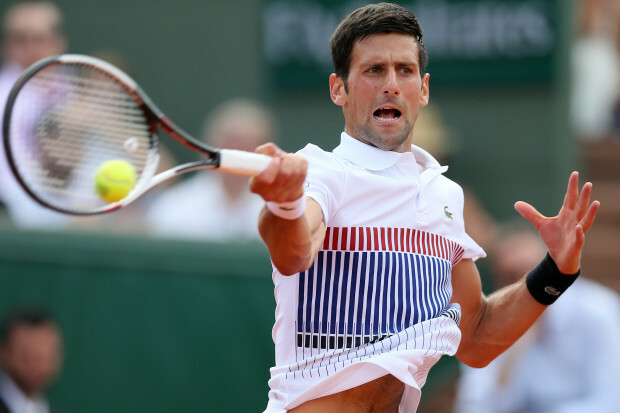 It was clear that Djokovic was feeling the effects of having played four rounds in his first tournament back following six months out due to elbow trouble. His last competitive match was at Wimbledon. The match started in the worst possible way for the Serb with two double faults in each of his two opening service games for a double break. He battled to claw the score back to 5 – 5 but he then had to call for the trainer to treat his elbow early in the second set. Things then went from bad to worse for the former world No 1, he screamed in paid while stretching for a point but still insisted in continuing despite being visibly tired and in pain. Djokovic seemed to try to shorten the points and he avoided long tiring rallies but Chung continued to pull ahead relentlessly. Chung, who is rapidly climbing up the ranks, won the Next Gen ATP Finals last November where he played against a number of young players including Andrey Rublev, Karen Khachanov and Denis Shapovalov. At one point there was hope for Djokovic as Chung dropped serve at the start of the third set, but Djokovic then gave the serve straight back and Chung got another break to pull 3 – 1 ahead. Djokovic managed to break back and he took the set to a tiebreaker where Chung won some fantastic points to give himself three match points. In the end Djokovic was defeated when he sent a backhand wide. Monday evening also saw Roger Federer reach the Australian Open quarterfinals for the fourteenth time but he was forced to work harder than he would have liked to overcome the eightieth-ranked Hungarian Marton Fucsovics. Federer, now 36-years-old, was clearly not his best in the sun-drenched Rod Laver Arena but in the end he won 6-4, 7-6 (3), 6-2 to reach the quarterfinals where he will face Czech Tomas Berdych. Before arriving in Melbourne this year Fucsovics had never won a main draw grand slam match, however, after progressing through the first three rounds the 25-year-old produced a skilful and assured performance to make sure that Federer, the second seed, had to work for his victory. However, there was no real scare for Federer and in the third set he was able to pull away and win with relative ease. Federer’s win means that he has become the oldest man to reach the quarterfinals of the Australian Open since Ken Rosewall in 1977. Tomas Berdych swept aside Fabio Fognini in straight sets to reach his seventh quarterfinal at the Australian Open. Berdych is seeded 19 at the competition and he has reached the semi-finals twice before. The Czech player defeated the 25 seed Italian 6-1, 6-4, 6-4 in just two hours and eight minutes and he will now face Roger Federer in the next round. Berdych is currently playing in his fifteenth Australian Open and the quarterfinal will be his twenty-sixth match against Federer. The two first faced each other at the 2004 Athens Olympics and Federer has won nineteen of their matches to Berdych’s six. Berdych seemed to have little trouble overcoming his Italian opponent, he broke his serve six times, hitting 37 winners and offset with 20 unforced errors. Before the match Berdych held the record for the most number of Australian Open round of 16 appearances by a Czech man, with 10 to Ivan Lendl’s eight. He has now improved his record to 44-14 at the tournament, making it his most successful major tournament in terms of matches won and quarterfinals reached. In his two previous semi-finals he lost to Stan Wawrinka in 2014 and then to Andy Murray in 2015. The unseeded American Tennys Sandgren battled hard over five sets to upset Austria’s fifth seed Dominic Thiem and reach the quarterfinals. Sandgren, ranked ninety-seventh in the world, won 6-2, 4-6, 7-6 (7/4), 6-7 (7/9), 6-3 in a match that lasted close to four hours to continue his fantastic run. He will now face Hyeon Chung in the last eight where he will seek to reach the semi-finals for the first time. Sandgren’s victory also made him only the second man in the last two decades, since Frenchman Nicolas Escude, to reach the quarterfinals in his Australian Open debut. While Sandgren has been on the circuit for a while, surprisingly he has missed out on qualifying in the last four years to reach the main draw. This year he overcame the former winner Stan Wawrinka in the second round before eliminating the world No 5. Thiem saved a match point with a fantastic backhand winner down the line and he then managed to force a fifth set but Sandgren proved to be too strong and took the match. Over the course of the five sets Sandgren, who had never worn a Grand Slam match before this tournament, hit 63 winners, 20 aces and made four service breaks.